A10 Networks is an enterprise networking company that improves performance and security for data centers. 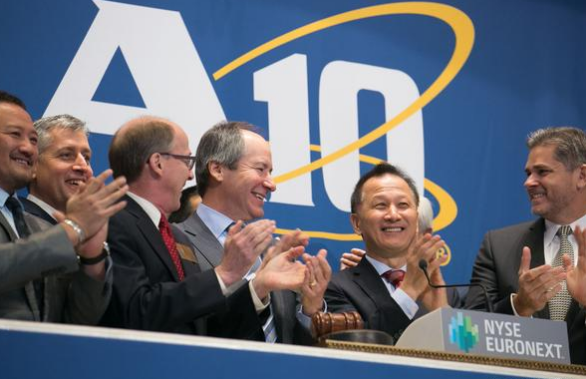 A10 is growing very quickly and even had an IPO earlier this year. Currently they are located at 3 W Plumeria Drive in an 80,000 SQFT office campus that they acquired in 2011. Hungry for more space, A10 is looking to lease 101 Tech in North San Jose--the former home of Atmel. The new space clocks in at an impressive 291,000 SQFT, making this one of the largest deals of the year in the area. Hopefully this will help move along some of the speculative projects in North San Jose like N1, Boston Properties, and the Peery-Arrillaga project.